I am super happy to be able to share with you all that Forrest Black’s and my California Deathrock book has been published! In time for Xmas gift, delivery, get the ghouls and fiends in your life a nice hardcover coffee table book at CaliforniaDeathrock.com. We are so grateful for the support from those of you who backed our Kickstarter and to all the cool people who make the scene what it is — on camera and behind the scenes — so that it was possible for us to create these images. It was a real emotional roller coaster giving birth to this project. I am so choked up with all the things I want to say. Thoughts both beautiful and pained. At the end of the day, it is my creative goal that our images resonate with you, in and of themselves. 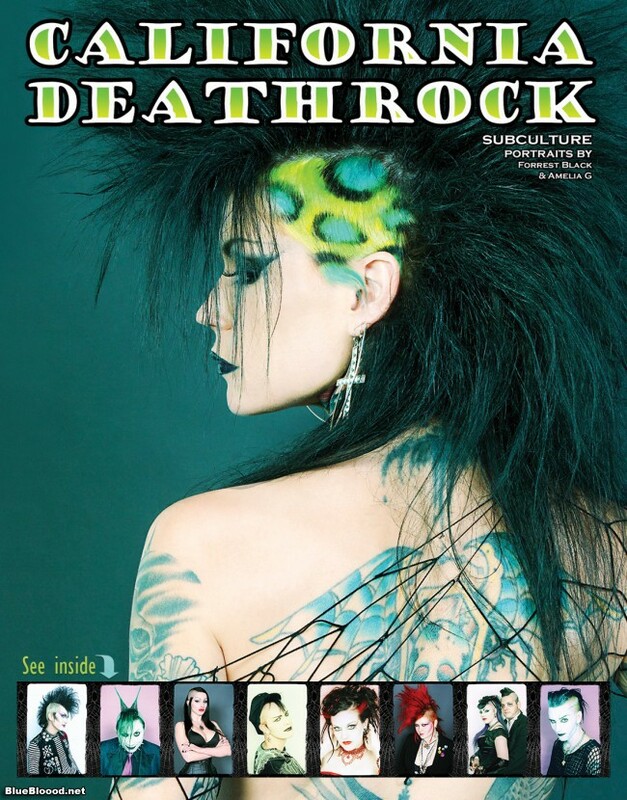 So, at the moment, I’m just going to ask you guys to please check out the site for the California Deathrock book. Let us know what you think. Please buy a copy, if you can. We could really use your support.